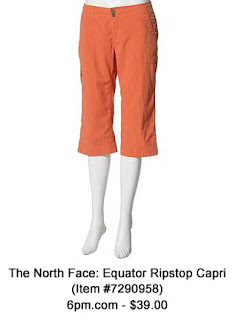 Clemson Girl: Would you wear these abrasion-resistant, orange capris to a Clemson football game? Would you wear these abrasion-resistant, orange capris to a Clemson football game? Here's an outfit essential for you Clemson Girls who would rather not wear dresses or skirts - cute and sporty orange capris. Would you wear these to a Clemson football game? Vote in the poll, and then comment on the blog and tell us what you'd wear with these. Click here to visit 6pm.com and view more info about capris or to purchase.